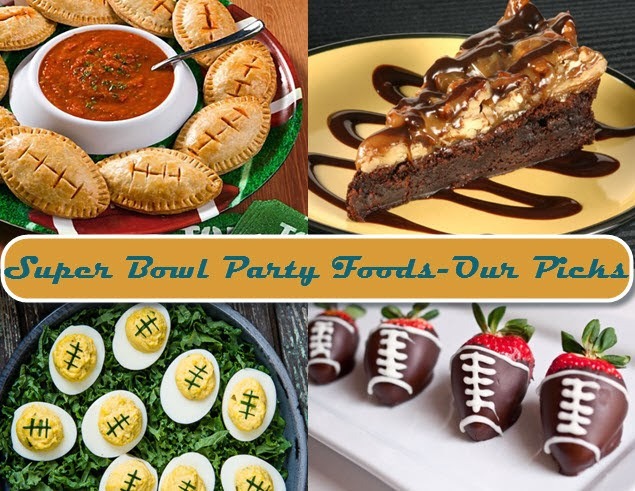 What's your game day food pick? 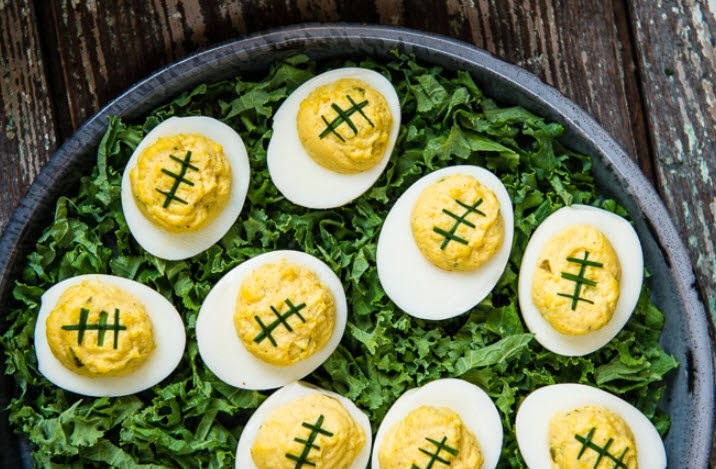 Whether you're going out to watch the game, or staying at home, make it festive with one of our favorite picks for super bowl party food. Our selection includes a little something for everyone! 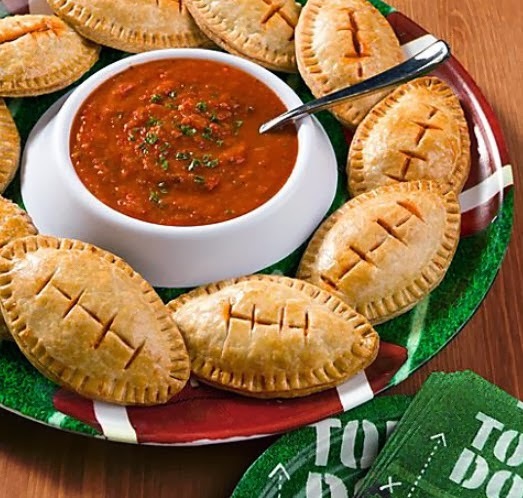 Love this football version of an empanada. Make them with your favorite flavors, be it Mexican or Pizza style. Find details on how to create your own at PartyCity. Here's a simple and all time favorite recipe for deviled eggs. Add a little decor to make the football style! Use your own favorite recipe or find one here at EveryDayGoodThinking. 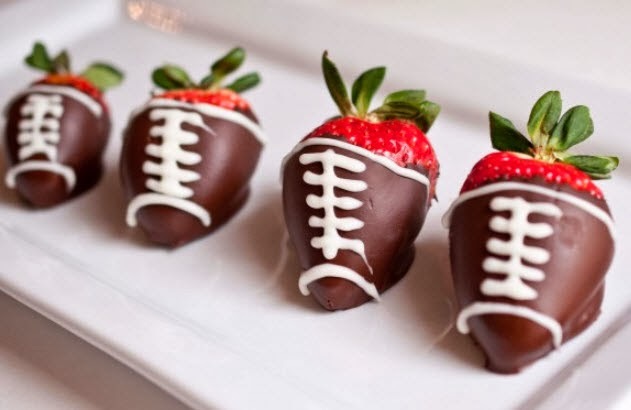 Everyone loves chocolate covered strawberries, and these score big with a little football decor! DomesticFits tells you how to make your own. If patience is your virtue ;) try your hand at these little mini quarter-dogs, and you'll be a bigger hit than the commercials! 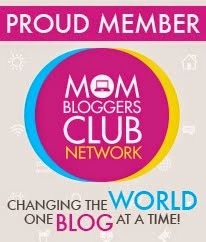 Find details here at Yummly. Have a happy day and enjoy the game! Top 5 Puzzle Gifts...Happy National Puzzle Day! January 29th is National Puzzle Day, and we're highlighting our top 5 picks for puzzle gifts! If you know our store, you know we love Scramble Squares and use them frequently in our gift baskets. Scramble Squares are 9 piece squares that fit together to create a collage around a theme. There are hundreds of themes available, so they work perfectly in many of our gift basket designs. They are great for get well gifts, travel gifts, and many more as they don't take up much space and yet provide the perfect challenge for all ages, 4-104! Love Melissa and Doug puzzles for kids! 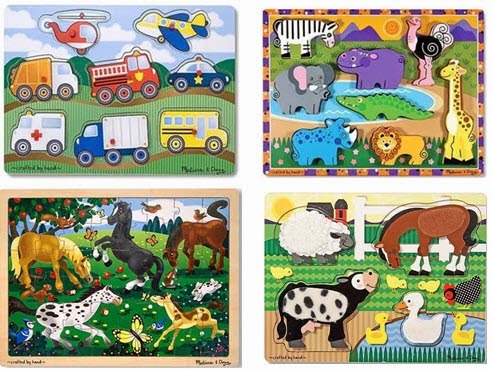 For kids of all ages, they have wooden puzzles, cardboard puzzles, touch and feel puzzles, sound puzzles, and more! If you visit their website, you can also shop by age. As we begin to add more gifts and gift baskets for kids, Melissa and Doug toys will be coming our way! For a unique gift idea, create a jigsaw puzzle from any of your own photos at puzzleyou.com. 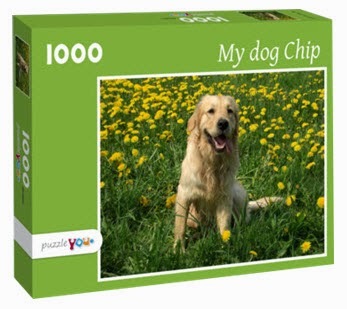 You can create your own personal photo puzzle with anywhere from 200 to 2000 pieces! Choose your own level of challenge with a Ravensburger puzzle. You'll find 2D puzzles, 3D puzzles, adult puzzles, and kid puzzles. All shapes, sizes, and subjects! They even have the world's largest puzzle at 32,000 pieces! I think retirement could be a great occasion for one of these Ravensburger puzzles! Liberty puzzles are finely crafted wooden puzzles, with many styles and subjects including the ability to customize. Each puzzle includes a unique set of whimsy pieces, which are intricately designed, recognizable objects that fit together in the overall puzzle. 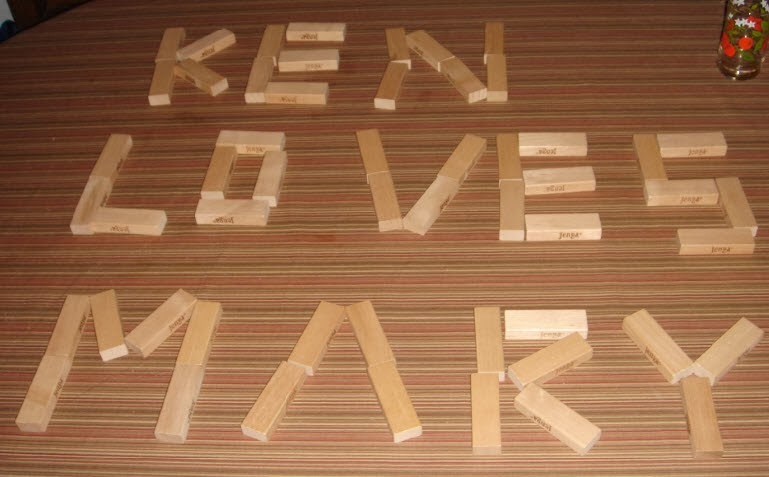 Made in Boulder, Colorado, these artistic wooden puzzles are made in the tradition of the original jigsaw puzzle! Meant to impress! 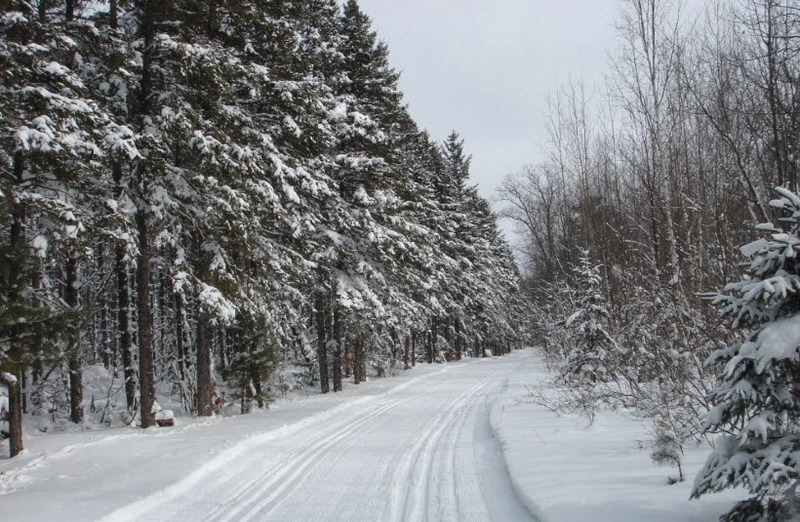 This year my husband, Ken, and I will be celebrating Valentine's Day in one of our favorite places - The Northwoods. As it has been a cold and snowy winter, many will be anxiously awaiting spring by the time February 14th rolls around. However, we love the snow, especially when it's thick enough for skiing. Living in Chicago, we have enough snow to enjoy a white Christmas and to keep in shape while shoveling, but not usually enough to bring out our skis. To solve that problem, we head North - way north! So this is where I'll be spending Valentine's Day this year! Who is your special Valentine? 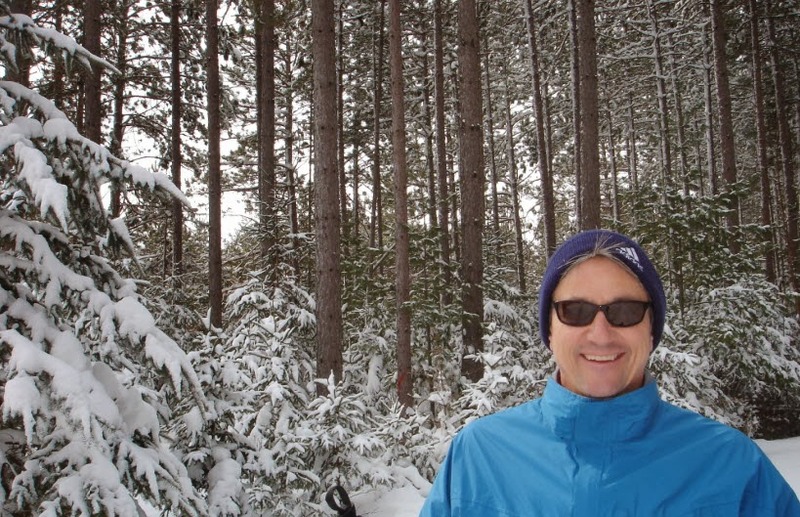 In our neck of the woods, we've started the new year with heavy snowfall and below normal temps. I know many of you are also experiencing harsh winter weather, so this seems like a great time to exchange soup recipes. With the busyness of the holidays I indulged in the occasional can of Progresso, but now it's time to break out the big soup pot and go homemade! 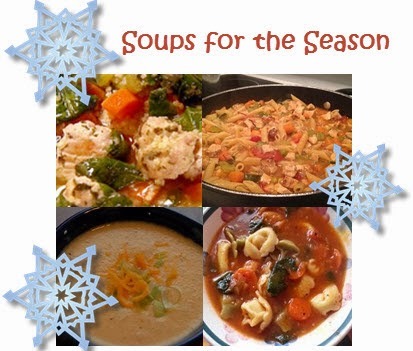 Here are 4 of my favorite winter soup recipes. Enjoy and please share a link to your favorite recipe in the comments below! The best thing about Italian Wedding Soup takes the most effort - all those homemade mini meatballs. But it is SO worth it! And don't even think about substituting ordinary pasta for itty bitty stars or similar. It won't be the same with bigger pasta, so make the extra trip to the store that sells mini. Delicious! This is a simple and very tasty recipe for a winter chicken stew. You can easily substitute other vegetables to suit your taste. Make a double batch and eat it all week. 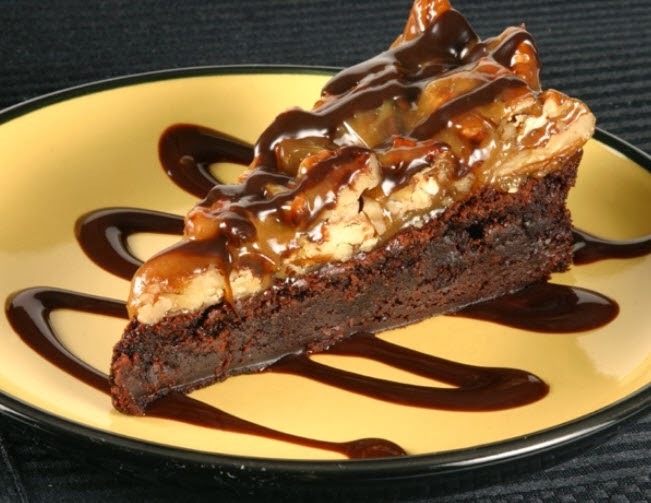 Great for lightening up your diet after all those holiday goodies too! This is one of my all time favorites, and it gets included anytime I write about favorite recipes! It's a hearty winter soup that's easy to make. You'll want to double up on this one too! If you're looking for meatless or a tastier way to eat your vegetables, this cauliflower soup is the answer. It's made a little heartier for a cold winter's night, but can easily be lightened up with a few substitutions. Very tasty either way!